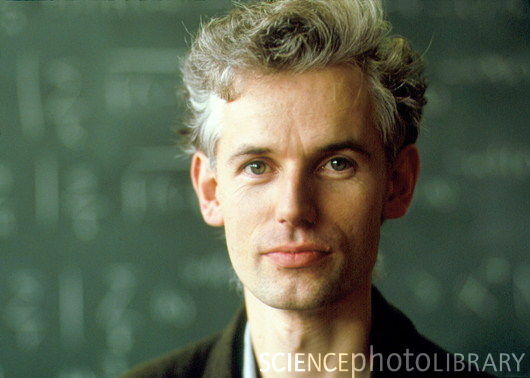 Timothy Gowers is much more than an outstanding mathematician. A Fields medalist, Tim is a global thinker, an eloquent and prolific writer, a pioneer among scholars, and a leader. “Un grand homme”, the French would say. Tim is an innovator in scholarship and also in scientific publishing. He is a committed pedagogue, an outspoken critic of “bureaucratic dirigisme,” a tireless advocate for basic research, and an imperturbable leader in the face of scientific publishers’ greed and business practices. Tim has just announced his decision to boycott anything “Elsevier”. This post is to announce our solidarity with his courageous public stand, but also to inform and to solicit the support of fellow North American scientists for this cause. I cannot remember when and where I first met Tim, but I do remember that he was still a student at Cambridge, and that I was instantly awed by the intellect, the clear thinking, and the humility of this “kid” (who already had a streak of grey in his hair). I wasn’t surprised at all when a few years later he started solving the mathematical problems that I –and many others– had worked on for years. Most of these problems started with the 1932 book of Stefan Banach where he laid the foundation of –inﬁnite dimensional– Banach space theory. Let me just say that the [G-M] series of papers by Ghoussoub-Maurey containing partial advances on some of these problems were later totally overshadowed by the intricate constructions in the [G-M] of Gowers-Maurey. No hard feelings Tim! I will not expand here on Tim’s obviously superior mathematical skills culminating with the Fields medal in 1998. This post is really about his leadership role in innovating, advocating and “disrupting” conventional approaches to scholarly activities, whether in research, teaching, publishing or in policy making. I should have anticipated Tim’s aptitude for independent thinking a long time ago. Former NSERC President Tom Brzustowski and I were advocating for the Canadian government to make the Fields medal’s monetary reward comparable to that of the Nobel prize. Tim did not agree. “It was not necessary”. In 2009, Tim started by asking the provocative question whether “massively collaborative mathematics is possible.” He was introducing crowd sourcing to mathematical research, breaking centuries-old traditions and taboos about mathematics and its practitioners. He then backed up his premise by creating the very first Polymath Project: a historic and successful attempt to use a blog (his) to get a large group of mathematicians scattered all over the world to collaboratively solve a mathematical problem. He followed up on this project with another innovation, Tricki.org, which is a Wikipedia-style project collecting methods and techniques (tricks!) for mathematical problem solving. Tim has given thought to and proposed new models of mathematical publishing. But what really blows my mind is the time and effort he puts into the pedagogical aspect of our often-misunderstood discipline. Just take a look at his posts on the Cambridge Mathematical Tripos, on basic logic, on group actions, and do not miss his “which is easier” blog experiment to see what I mean about his amazing commitment and contribution to the process of learning. Last summer, he again demonstrated his leadership qualities by ringing the alarm bells about the recent actions of the Engineering and Physical Sciences Research Council (EPSRC): Micromanagement of the research enterprise, lack of consultation with the academic community, picking winners and losers in the marketplace of ideas, commissioning then ignoring the findings of international panels, not to mention the grand statements and the bureaucratic jargon used to announce it all … His dedication to the future of scientific research and teaching in the UK inspired and mobilized the British mathematical community. And now again, he is speaking up against SOPA (Stop Online Piracy Act), against greed and against certain business practices in scientific publishing. “So I am not only going to refuse to have anything to do with Elsevier journals from now on, but I am saying so publicly. I am by no means the first person to do this, but the more of us there are, the more socially acceptable it becomes, and that is my main reason for writing this post.” This is also my main reason for writing this post. See also The n-category Café. But do not miss the section about “coordinated action” in that blog post. We may be needing it again, sooner rather than later. This entry was posted in Honouring friends, Op-eds and tagged banach space theory, scientific publishers, stefan banach, timothy gowers. Bookmark the permalink. I am wondering if you are planning on signing Timothy’s petition? I was surprised to see that there were only two UBC-ers on the list. I did. I am equally surprised that only three at UBC-math have signed.